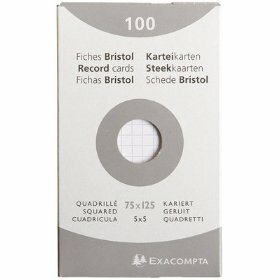 Good [article in The Grauniad today about index cards->http://www.guardian.co.uk/lifeandstyle/2009/may/09/health-and-wellbeing]. 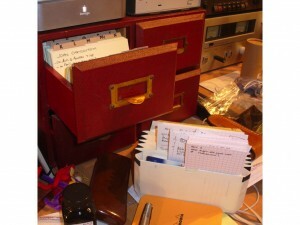 Anyway, after years of trying all kinds of digital equivalents – including a much-loved Mac outliner programme called 3×5 – I went back to index cards a couple of years ago. I still use digital versions (especially the magnificent [Scrivener->http://www.literatureandlatte.com/scrivener.html] which uses the Index Card metaphor to the full) but nothing gives me that same sense of organisation. And, anyway, I’m in good company. 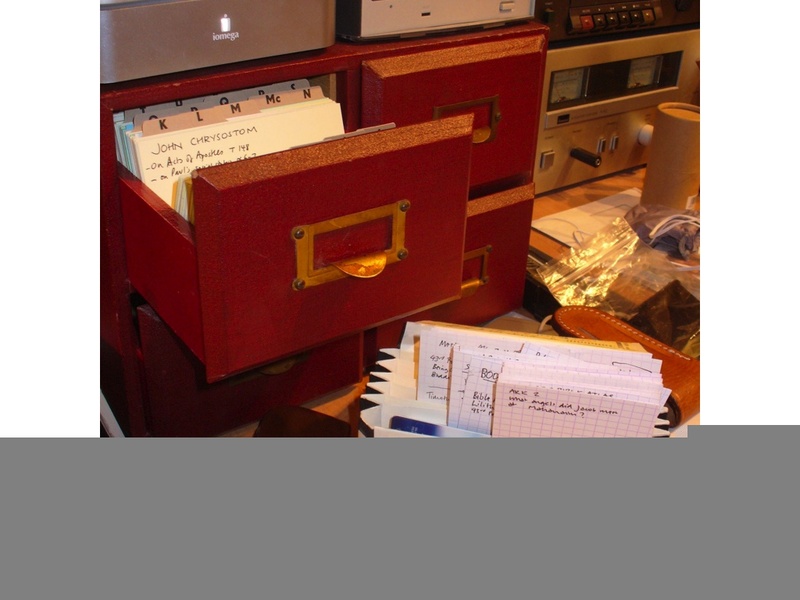 Famous index card users include Wittgenstein, Pirsig, Nabokov and Walter Bejamin, who wrote ‘everything that matters is to be found in the card box of the researcher who wrote it’. Indeed, he described the card index as ‘ the conquest of three-dimensional writing’ which is more-or-less what I described above.